As the miners walked out of their pits across the country it was clear that the much anticipated show down with the Thatcher administration was finally on. Lambeth’s trade unions swung into action to start to build support for their comrades in places like Kent, Yorkshire and South Wales. The act of solidarity, throwing yourself into a do or die strike like that, had a profound impact on local activists. Committing yourself to that cause, dedicating a year of your life to intense work where you knew the stakes were far beyond anything else you had seen – it shaped a whole generation of the lefts outlook. As the strike went on and people traveled to the pit villages and lived with the families, fought alongside them on the picket lines – that was something that couldn’t be forgotten. 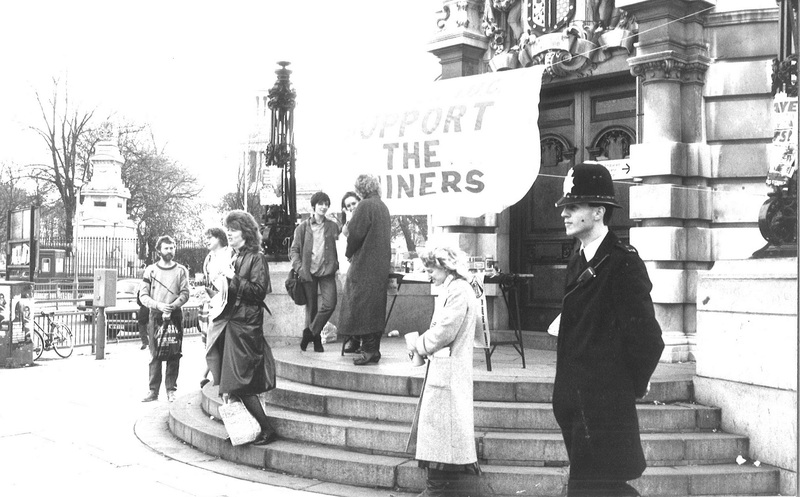 In the same way that it impacted on the local left, the experience of coming to Lambeth affected the miners too. Initially Militant members in Lambeth used contacts they had in South Yorkshire to get a delegation of miners down to start raising funds. Before speaking at packed meetings across the borough, the miners and their socialist allies would head to Brixton tube station to collect money in buckets. Local folk would shake the hands of the miners whilst apologising for being unemployed, that they were unable to contribute much to the strike fund. Then they would go to the post office on Ferndale road to cash their giros and force a £5 note into the bucket on the way back. One of the Militant activists who took part in the local fundraising, Steve Nally, still felt tearful recounting the selflessness even 30 years later. Many of the Yorkshire miners were used to village life or living in small towns which were far more routine than living in a place like Lambeth. They also had well paid jobs, decent homes and pensions, indeed that is what their strike – the defence of their communities and livelihoods – was all about. When a group of miners were taken around the Ethelred estate to raise money and saw the local kids – some of them without shoes on – it took them aback. Some sat in tears in the local pub afterward, others in a grim silence, thinking about their own lives, their families back home in Yorkshire, what it meant to be poor in inner London and still give money to striking workers.